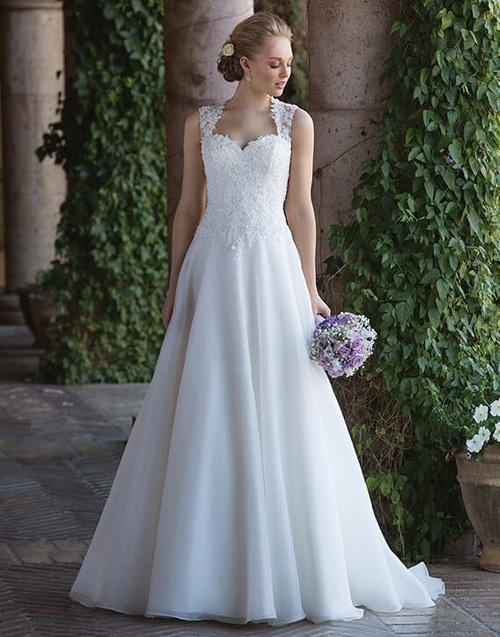 A gorgeous wedding dress that features a Queen Anne neck line. This a-line style bridal gown has embroidered lace that accents the illusion straps and key hole back. A simple scattering of beads are beautifully placed down the bodice and organza skirt. Finished with buttons and a zipper fastening.